With the ELD implementation just over six weeks ago, everyone is watching the industry eager to see how the new program is rolling out. “Seasonally, we expect load posts and freight rates to decline,” says Gary Garnand of Garnand Marketing, “but that’s definitely not the case with the new implementation.” And with lack of other factors, like widespread weather incidents, its evident that the high freight rates and tight trucks are due to the mandate. With fuel pricing rising across the country, prices will be pushed even higher, up to 30% over this time last year. 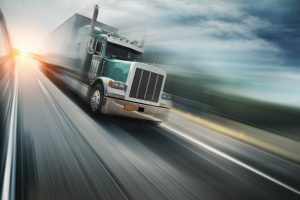 Travel times are longer, contributing to less truck availability, plus many independents and small carriers have left the industry putting even more stress on those left. Load to truck ratios are currently at record highs, and there is a still growing truck driver shortage. While some of those drivers who would have left the industry have stayed because the market rates are so strong right now, it’s yet to be seen what will happen to those drivers when the prices begin to stabilize.